The Internet of things or connected devices are the next big concerns, as more Internet connectivity means more access points which mean more opportunities for hackers. When it comes to the threat to Internet of Things, Car Hacking is a hot topic. Since many automobiles companies are offering cars that run mostly on the drive-by-wire system, a majority of functions are electronically controlled, like instrument cluster, steering, brakes, and accelerator. No doubt these auto-control systems in vehicles improve your driving experience, but at the same time increase the risk of getting hacked. Recently, security researcher Benjamin Kunz Mejri have disclosed zero-day vulnerabilities that reside the official BMW web domain and ConnectedDrive portal and the worst part: the vulnerabilities remain unpatched and open for hackers. Benjamin from Vulnerability-Labs has discovered both the vulnerabilities. The first one is a VIN (Vehicle Identification Number) session vulnerability which resides in the official BMW ConnectedDrive online service web-application. BMW ConnectedDrive is a in-car infotainment system offers a wide range of intelligent services and apps that provide you with information and entertainment during your journey, as well as allows you to create driver profiles, receive-read-reply to e-mails, manage connected Smart Home devices, helps to regulate the heating/lights/alarm system and get live traffic information. 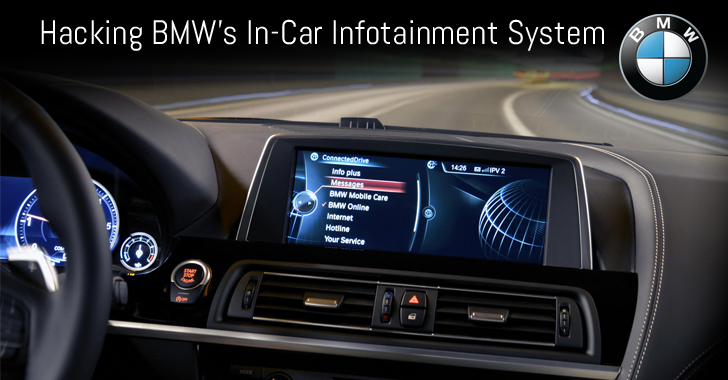 BMW’s VIN is a unique code used to identify individual vehicle models connected to the service. However, the flaw located in the session management of VIN usage could allow attackers to bypass the secure validation procedures of the VIN remotely using a live session. This session validation vulnerability could be exploited by an attacker with a low-privilege web-application user account and no user interaction. This could allow the attacker to manipulate VIN numbers and configuration settings, like compromising registered or VIN numbers via ConnectedDrive. The second flaw is a Client side cross-site scripting vulnerability that resides in the official BMW online service web-application in the password reset the token system. The security vulnerability doesn’t require privileged web-application user; rather a low user interaction is needed to inject a malicious payload into the vulnerable module. Successful exploitation of the security flaw allows a remote attacker to inject malicious script codes into the affected module, potentially resulting in session hijacking, phishing attacks, redirecting users to malicious source, and manipulation of affected or connected application modules. Vulnerability Labs reported the security issues to the automaker in February this year, to which BMW responded after two months. Since there was no announcement by the company about the fixes to these issues, the researcher went public on July 7. This is not the first time researchers have reported threats to connected cars. Previous research demonstrated hackers capabilities to hack a car remotely and control its steering and brakes and to disable car’s critical functions like airbags by exploiting security bugs affecting significant automobiles. Keeping these risks in mind, in April this year, the Michigan state Senate proposed two bills that introduce life sentences in prison for people who hack into cars’ electronic systems. Also, the FBI issued a public announcement warning people about the risks of car hacking.